After a short break, we’re back to the DIY robot projects series and I am sure you’ll love this one too. Before that I suggest you to go through all our earlier simple robotics projects for engineering students as well. This time, major difference is the added security to access the robot; you can control the robot only after you speak your password. The robot can move in four directions and can be controlled wirelessly from PC. PC has seven push buttons to control the robot forward, backward, Right, Left, Stop, Open and Close. Robot will move only after recognizing the voice password. It will also send SMS to the owner’s mobile number if an unknown person is trying to access robot. Moreover it’s also capable of opening and closing a door. There are three modules used here in this project, one software module and two hardware modules. One of the Hardware modules is connected with PC which is connected with GSM and RF modules. GSM module is used to send SMS to the owner’s mobile number in case an unknown person is trying to access the robot or open the door. RF module is used to communicate with the robot wirelessly; HT-12E encoder and HT-12D decoder are also used to ensure noiseless wireless communication. 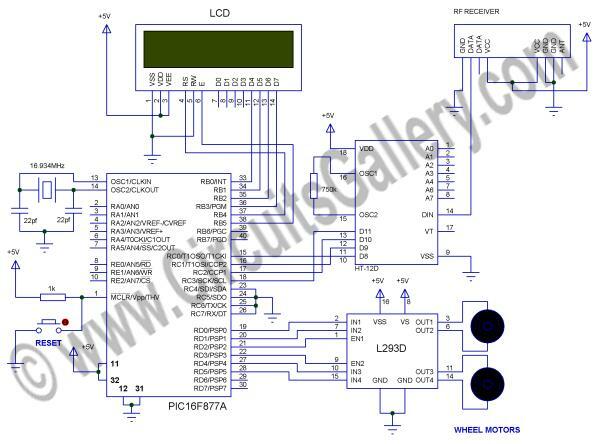 The other hardware module is connected to robot with 12V battery and 2×16 LCD used to display the movement status and authentication status. In the software module MATLAB is used. After recognizing the voice, it will automatically send letter ‘Y’ which will be received on the first hardware module connected to PC. PC will send data to the data pin of HT-12E encoder as ‘1’ via PORTC. 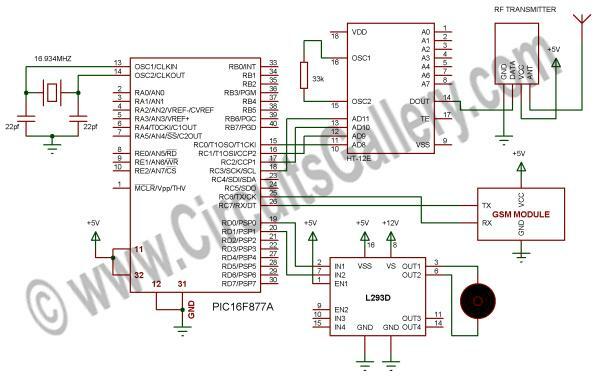 For more detail: How to make a computer controlled Robot Project Using PIC16F877A? 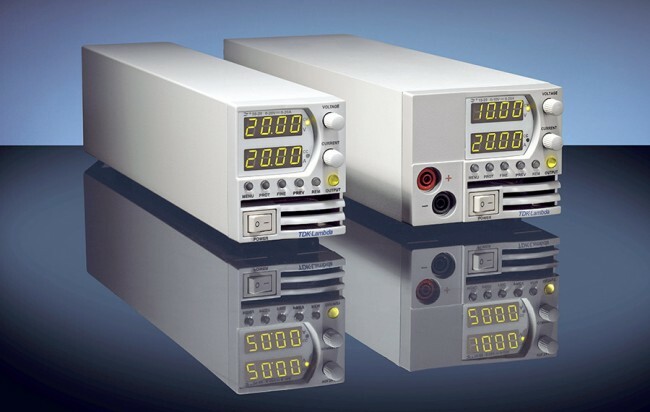 Do you know, what´s a top-class programmable power supply capable of?